Yes, your eyes haven't deceived you; for once I've managed to give you a favourites post at the end of the same month, instead of at the beginning of the next! Although, I thought I'd mix up this months favourites and show you the non-beauty bits I've been loving. After a couple of months of shopping and trying out new products being my last priority, I've well and truly made up for that in August, so watch out for plenty more reviews and exciting Autumn/Winter posts coming soon! If there's one thing to motivate you, it's a beautiful, bold pair of trainers and no-one does them better than Nike. A brand new pair of kicks was necessary after I stupidly wore my last set of workout trainers for an unexpectedly wet, muddy trip out in Norfolk. Not the best idea, really, but a good excuse to get another pair. The Free 5.0 design is so light that it feels like you've got nothing on your feet. 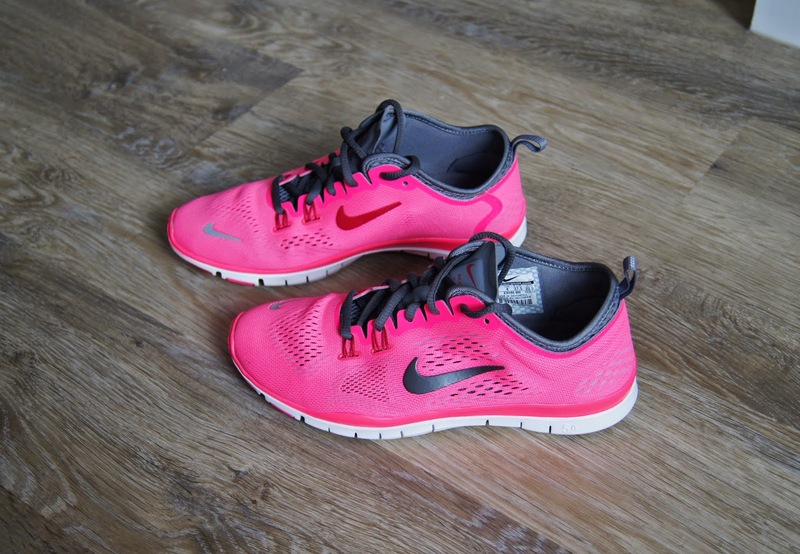 My legs are quite slim and I always worry that trainers look too bulky on me, but these are nice and sleek. The edge around the back of the heel is soft and pliable, so doesn't cut into your foot or cause blisters. With the body of the shoe being a mesh material, they're really breathable, which helps to prevent the shoes getting too sweaty and needing to be kept outside after a while. It also allows flexibility when exercising, making them the comfiest training shoes I've ever had. They may be expensive at £80, but when it comes to trainers, I want to make sure they're good quality to provide stability and prevent injury. Plus, my favourite colour combo is neon pink and grey, so how could I say no? I picked mine up from ASOS. Every year I attempt to keep a diary but, by the time March arrives, I can guarantee it will be sat, unused on my desk. My phone has any important dates taken care of, so all I really want a diary for, is to remember special occasions and one-off events. 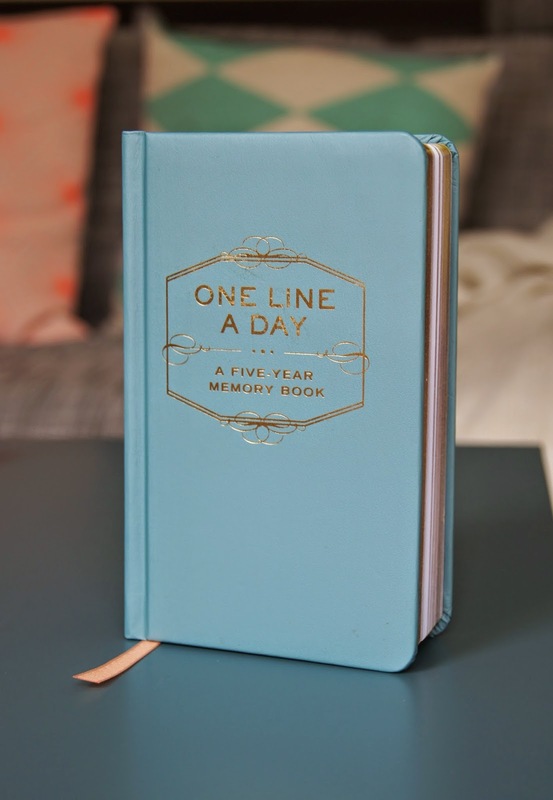 That's where this little book comes in, the One Line A Day 5-Year Memory Book. Each page is specific to a date in the calendar and there's space to record events over five years. As you add to it, you can compare different years and see how your life has changed, which is an idea I really like. 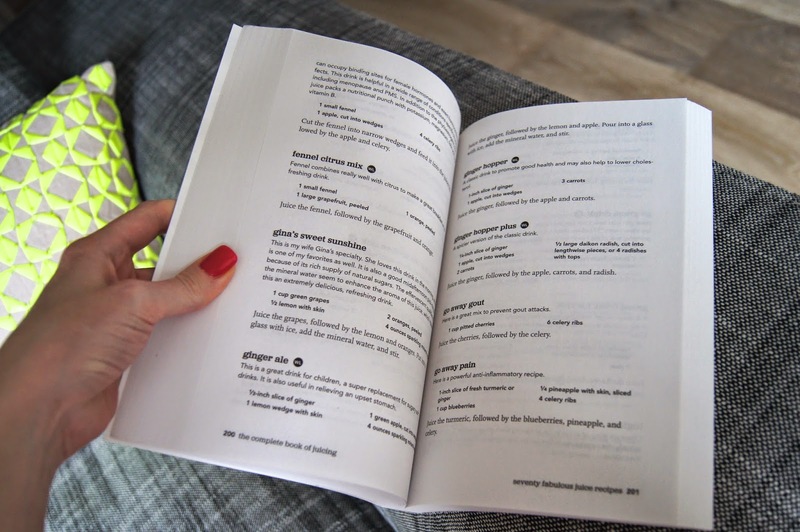 With everything all in one book, there's less chance of memories going missing. I picked up mine from Waterstones for £10.99. Juicing is a massive thing at the moment. A great way to boost your intake of vitamins and minerals and up your 5-a-day, it's fast and fuss-free. But, it can be hard to know where to start, if you're a newbie. This guide not only gives you juice recipes, but gives in-depth information about the various benefits of over 100 fruits and vegetables and how you can use juicing to help with a plethora of medical problems, from skin concerns to internal issues. 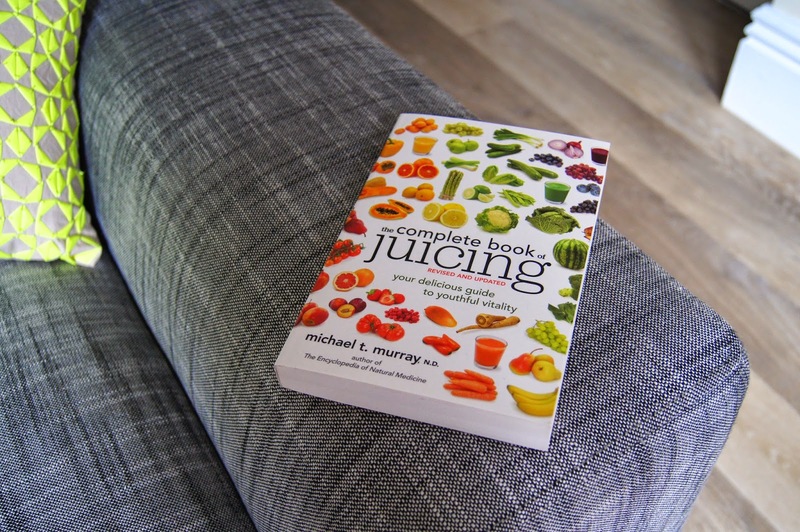 Instead of just bunging in any fruit I can grab, I've been using this book to customise my juices, by choosing energy-boosting recipes in the morning and stomach settling ones if I'm feeling poorly, for example. And d'ya know what? They work. Obviously, everyone's view is different on health and whether fads like juicing are good or bad, but since adding just one juice a day into my diet, I feel a whole lot better for it. I'd never go to extremes and only drink juices or replace meals with them, but I think slotting them into your routine is so beneficial, especially if you find it difficult to eat enough fruit and veg. This book does have some bold claims relating to cancer, weight loss and other serious, medical issues, which I can't support or oppose, but I can only see juicing as a positive, if done in moderation. This book is available from Amazon, for under £10. My biggest weakness, food wise, is sweet treats. I always have to have dessert. 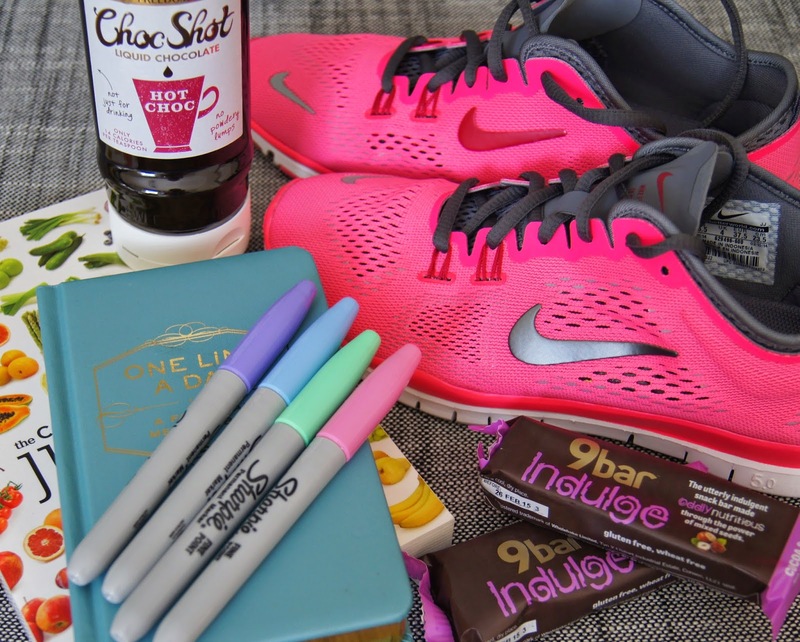 So, when trying to lead more of a healthy lifestyle, you have to find ways of incorporating sweet treats into your diet. I still need a chocolate hit and I don't always fancy chowing down on a chunk of Lindt 80% cocoa. 100% natural, Sweet Freedom products contain fruit extracts that are low GI, so won't spike your insulin levels in the same way that refined sugars do. Suitable for vegans, they're free from dairy and gluten and don't contain any artificial colorings, flavorings or preservatives. 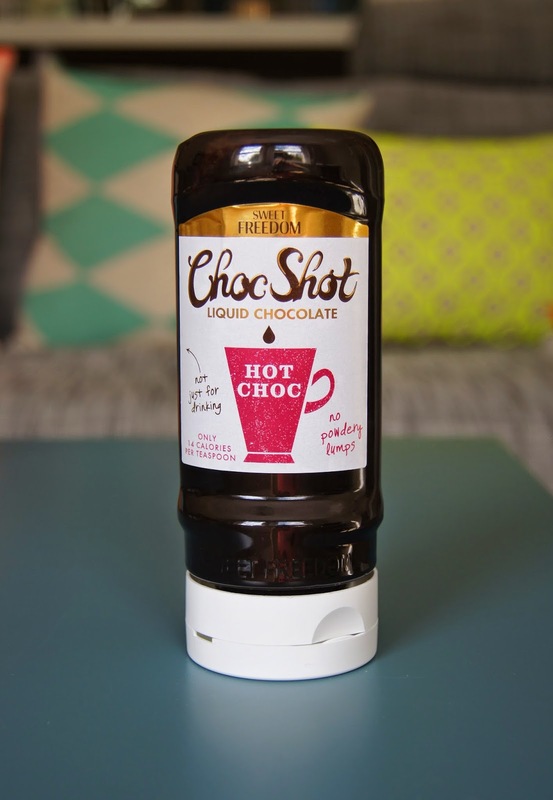 Choc Shot is a chocolatey syrup which actually tastes rich and satisfies any cravings that you might have. Whether you drizzle it over fruit, add it to your choice of milk or make a hot drink out of it, it's delicious. Personally, I like to squeeze a generous amount over pancakes and add a drop to my morning coffee, to make a mocha. You don't need to make a special trip to a health food shop to get your hands on it, either. Available from most supermarkets, you'll usually find it in the baking aisle, for £3.59. They may not be as healthy as some carrots and a pot of home-made guacamole, but these bars are a non-offensive, nutritious alternative to regular, chocolate bars. 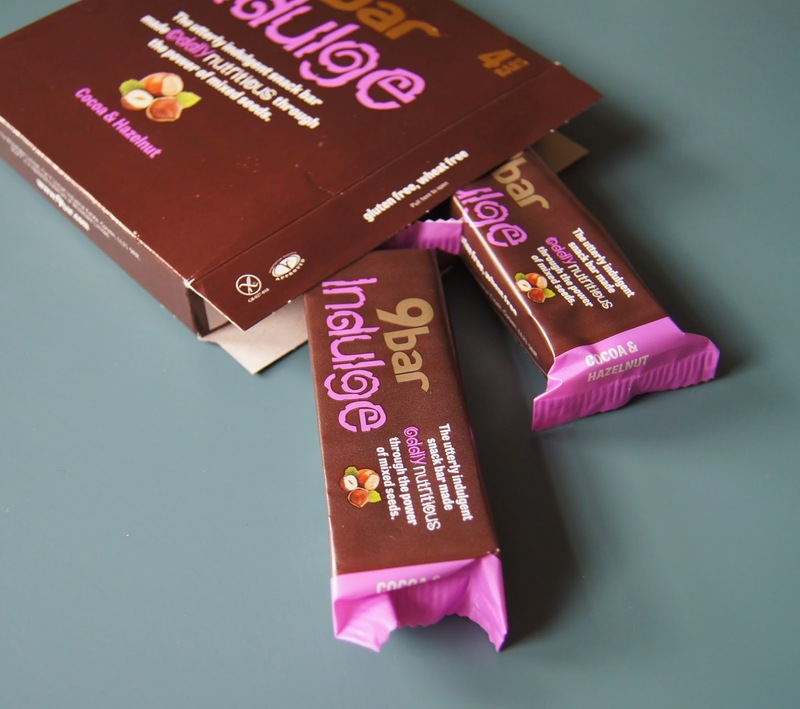 I've tried the original 9 bars and they tasted just a bit too much like bird feed for my liking, but the 9 Bar Indulge versions are so good. Available in two varieties, Cocoa and Hazelnut and Cocoa and Raspberry, I'd recommend both flavours. Packed full of seeds and nuts, they contain lots of healthy fats that are good for skin, hair and nails and provide slow-release energy. A lot of faux chocolate bites don't taste all that chocolatey, leaving you feeling conned and hungry. But, you can't notice the difference with these 9bars, being sweet and rich. One bar is the perfect size to slot into your handbag and take on the go, in case you start to feel peckish and get tempted by a packet of Walker's. Like the Sweet Freedom Choc Shot, these bars are also available from supermarkets, costing around £1.99 for four bars. I've told you before; I love to write lists. I much prefer having hard copies of things and find writing therapeutic. Plus, I studied art and love things to look pretty at all times. Who wants to stick to writing in boring black or blue? 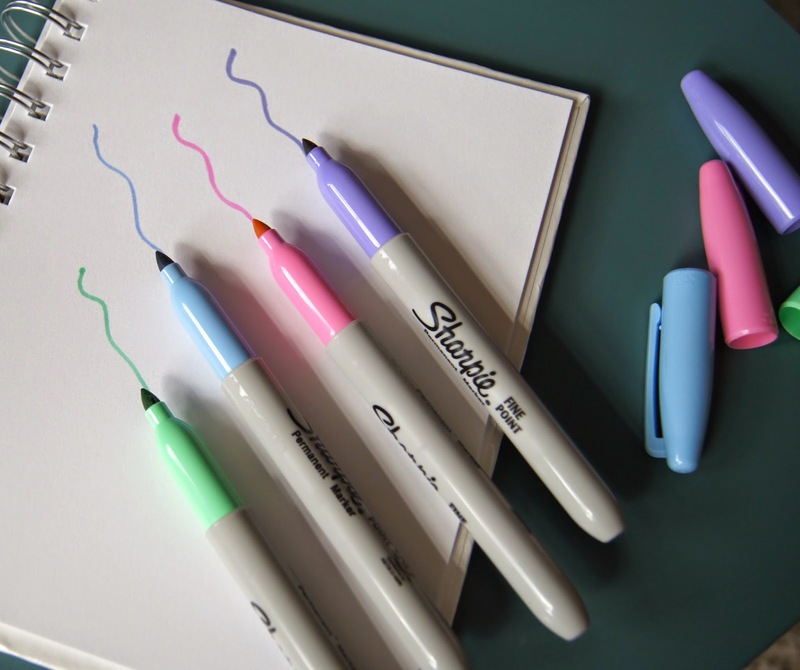 I spotted this set of four, pastel-coloured Sharpies in Paperchase and couldn't resist picking them up. 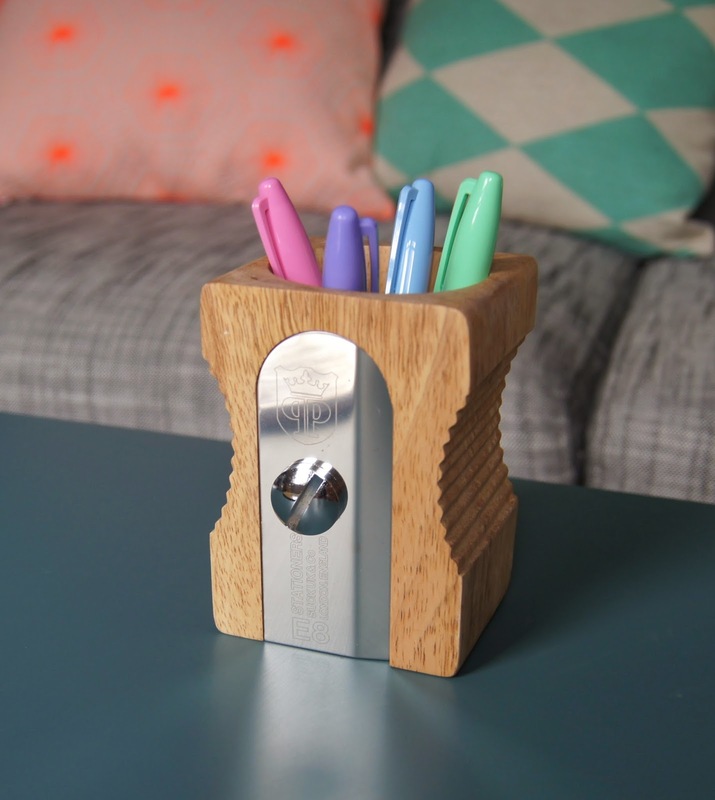 The fine-point, permanent markers are handy to have in you stationery stash, to take notes with, draw with or customise with. Writing in pretty shades of pink and mint has made my notebooks more colourful and just makes plain stationery that bit more fun. If you're heading back to School or University, or know someone that is, some coloured pens will definitely come in useful and they don't get much prettier than these. This pack of four shades is available from Hobbycraft, for £5. What are you loving at the moment, both beauty and non-beauty wise?